Hyphen Symmetry Pillow Review was recently completed by the MattressJunkie.com team. 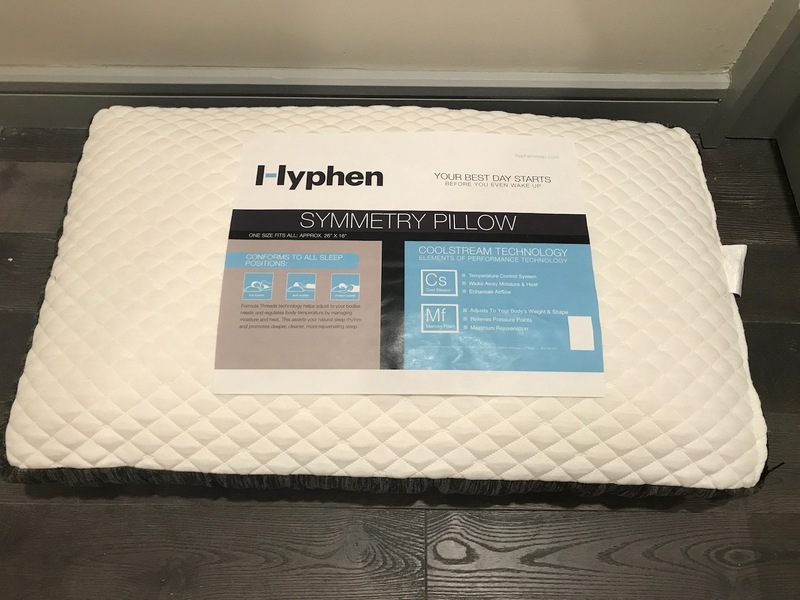 Hyphen sent over one of their Symmetry pillows for us to review. 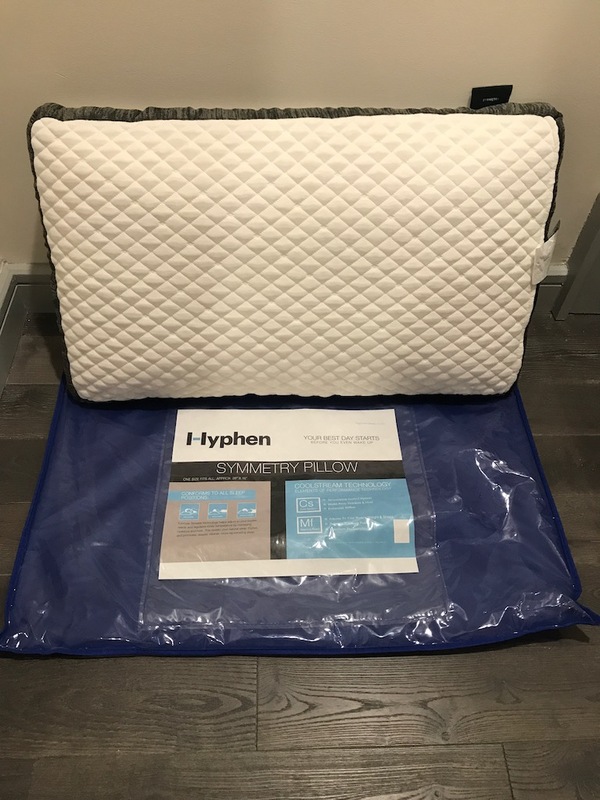 We reviewed the Hyphen Mattress a few months ago and still rank it as one of the coolest sleeping mattresses we have ever reviewed. The Hyphen Symmetry Pillow costs $129 dollars and has a 5 year warranty. Check out what we thought about it below. What sleep position is best for Hyphen Symmetry Pillow? Hyphen Symmetry Pillow would work great will any sleep style. The high density memory foam adjusts and conforms to your body weight. Tell me more about Hyphen Symmetry Pillow cover. Hyphen Symmetry Pillow has a removable, washable cover. The cover is white in color and is moisture wicking and breathable to keep you cool and comfortable throughout the sleep session. What’s under Hyphen Symmetry Pillow cover? Hyphen Symmetry Pillow is constructed of ventilated memory foam. The pillow is equipped with Hyphen’s CoolStream Technology. CoolStream Technology is Hyphen’s ventilated temperature control system. Hyphen does an excellent job with temperature control with both the Hyphen Symmetry Pillow and the Hyphen Mattress. How much does the Hyphen Symmetry Pillow cost? Hyphen Symmetry Pillow costs $129. Does the Hyphen Symmetry Pillow have a warranty? Hyphen Symmetry Pillow comes with a 5 year warranty. Would we recommend the Hyphen Symmetry Pillow? Just like the Hyphen Mattress, the Hyphen Symmetry Pillow is comfortable, sleeps very cool, and is high quality. In addition to being hypoallergenic, the pillow cover is completely washable so you can ensure you are sleeping on a healthy sleep surface. If you are in need of a new pillow, you cannot go wrong with the Hyphen Symmetry Pillow. A great pillow makes a huge difference in your sleep experience. Get your Hyphen Symmetry Pillow here…..